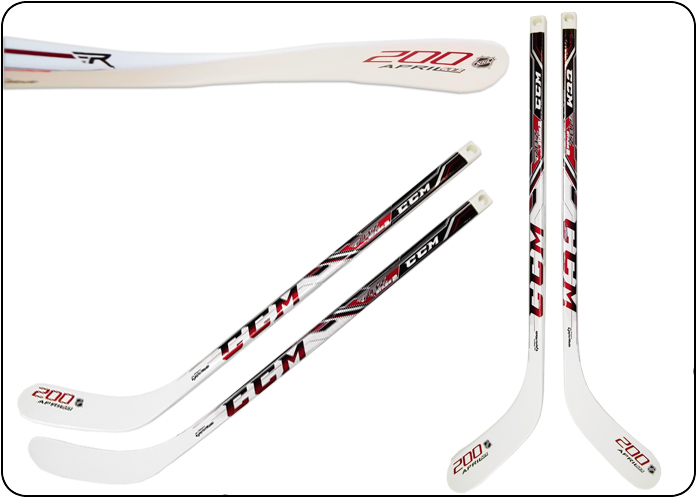 Our Composite Hockey Sticks are a CCM RBZ - Stage 2. They are just like the CCM RBZ Composite Hockey Sticks for teens and adults. These Hockey Sticks have all the same features as the adult and teen size sticks; they are just smaller and designed for little ones. They are manufactured really well and can be cut to length. This Hockey Stick is available in (LEFT HANDED) and (RIGHT HANDED) the curve on the stick is really good for little ones. White colored Hockey Stick with red and black colored graphics. They are available in a (RIGHT HANDED) and a (LEFT HANDED) - no straight. Power Swing Technology to provide more flex designed by Taylor Made. Stick features a trampoline effect when unloading a shot for ultimate power. Zero foam in blade of stick for a lighter weight stick and faster shots. Stick can be cut length. Curve on hockey stick blade is really good for little ones. Other Baby Skates accessories: Stretch Mittens, Stretch Gloves, Ty Beanie.